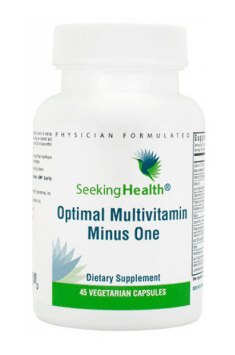 Optimal Multivitamin Minus One 45 caps. Because of the content of fat-soluble vitamins, the preparation should be taken with high-fat meals. Because of high doses of active substances, it is not recommended to exceed the recommended daily dosage (one tablet).